It’s all over the news today that Genting Malaysia has sued Walt Disney Co and Twenty-First Century Fox Inc for over US$1 billion for abandoning a contract related to its planned construction of the first Fox-branded theme park, 20th Century Fox World. It came as a surprise because (despite multiple delays), we thought that the 20th Century Fox World theme park would be opening its doors in 2019 after delaying its original completion date which was scheduled this year. The 20th Century Fox World was first announced on July 26, 2013 and commenced its construction on December 17, 2013 with an estimated cost of RM1 billion. This is also tied to Disney’s acquisition 21st Century Fox late last year for US$52.4 billion in stock. The deal is expected to be completed on January 1, 2019. According to the complaint, Disney is now “calling the shots,” and wants to end the contract because they don’t want to be associated with a company known for gambling as it doesn’t fit its “family-friendly” brand strategy. Thus, it looks like 20th Century Fox World won’t be happening soon, and Genting might want to start looking for other brands to bring in for the theme park since they’ve already built the foundation for it. We decided to take a look what other kind of theme parks that could be up for consideration, now that this current deal has gone down the drain. 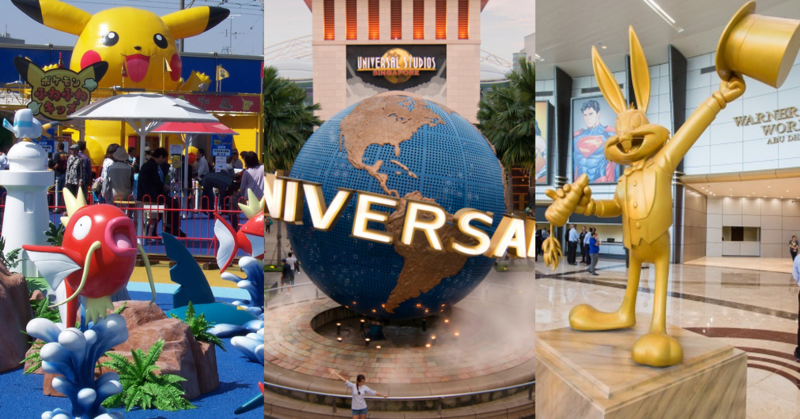 Looking at our southern neighbours, although they are tiny they have one of the most prominent theme parks in this region—Universal Studios Singapore (USS). USS is actually owned and operated by Genting Group, so it’s very likely that they have a good relationship and can just bring it over. It’s Southeast Asia’s first Hollywood movie theme park, featuring a vast array of attractions, rides and entertainment for families and thrill seekers. With 18 out of the 24 movie-themed rides designed just for the Singapore park, the park has 7 themed zones including a Hollywood themed park which was made as a replicate of the real Hollywood in the 1970s, even with Hollywood’s Walk of Fame. The one that interests us most is The Lost World, not to be confused with Sunway Lagoon’s Lost World Of Tambun. 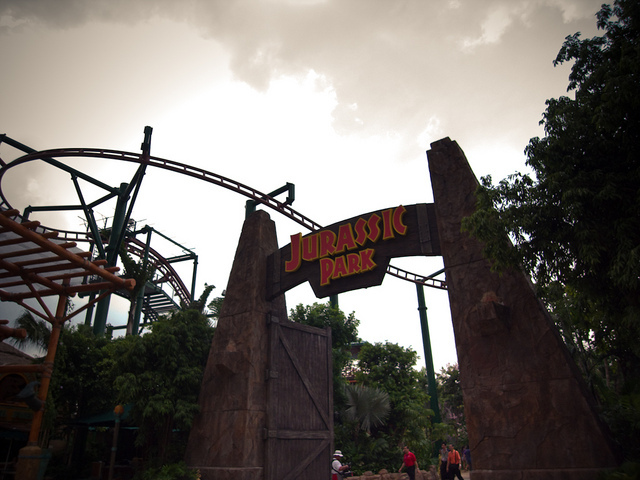 This theme park contains traditional attractions that are mostly present in most Universal Studios parks around the world and is divided into two sub areas: Jurassic Park and Waterworld. It’s pretty self explanatory for Jurassic Park is filled with dinosaurs as it’s based off the popular film franchise by Steven Spielberg, and Waterworld is a huge stadium that features live show performances. Warner Bros has just opened their first ever theme park in Abu Dhabi, United Arab Emirates in the middle of this year at an estimated cost of US$1 billion. The park features characters from Warner Bros’ franchises such as Looney Tunes, DC Comics and others. The park contains 29 rides spanning over 1.65 million square feet. Best part yet, it’s all located indoors. 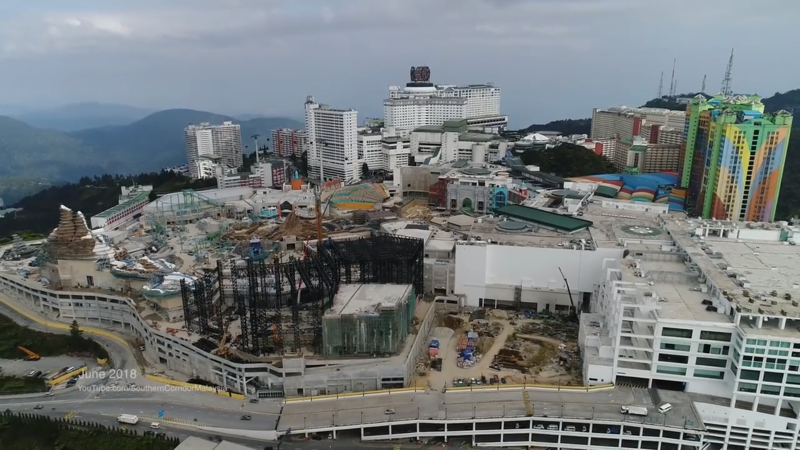 But that won’t be a problem in Genting since it’s much cooler here and the foundation of the park is already built outdoors. Since WB has only opened one, they might be looking to get a second one launched here. The Warner Bros Theme Park has uniquely themed lands including Bedrock, Dynamite Gulch, Cartoon Junction, Gotham City and Metropolis. You will get a chance to visit Gotham City, which is home to one of the most famous superheroes from the DC Universe—Batman. There’s even a roller coaster ride called Batman: Fallen Knight where you get to sit in the Batmobile as you launch from the Batcave and soar over the streets, thwarting the traps of evil Super-Villains as you zoom through Gotham City. It’s a high-speed, high-octane ride where you go through the dark skies of Gotham City, full of breathtaking climbs, drops, spins and rolls. Imagine Genting being transformed into a full-blown Gotham City. A Pokémon theme part would enable us to live our dreams of becoming a Pokémon trainer. 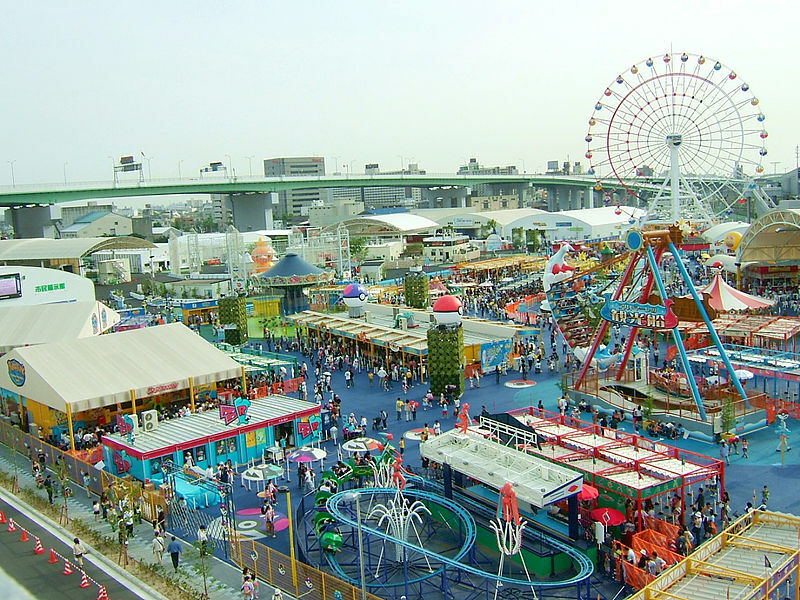 Although there is no permanent Pokémon Theme Park internationally, there have been appearances in 2005 where a travelling theme park was based on the Pokemon franchise called PokéPark. It began in Japan in 2005 and made its way to Taiwan in 2006. The theme park featured twelve Pokémon-themed attractions, and was open between March 18, 2005, and September 25, 2005, in Japan, and from June 23, 2006, to September 24, 2006, in Taiwan. There has been rumors of a real permanent PokePark being launched in 2020 as insider sources have confirmed that Pokémon is indeed coming to Universal Orlando, USA. This new Pokémon dreamland is expected to be added to the KidZone section alongside Woody Woodpecker and Barney. Originally, that particular area was planned to become home to new Mario Kart and Donkey Kong roller coasters, but these will now join part of a larger Nintendo-themed park. It will be a great addition here as Genting is already going to play host to Malaysia’s First Pokémon Festival this year end. You will get to catch 32 first generation Pokémon figurines at SkyAvenue and also there’s the tallest Pokémon-themed Christmas tree in the world and the first Pikachu parade in Malaysia. Moreover, a giant 6-meter Pikachu inflatable is going to be there too. Furthermore, if they implement it together with Pokémon Go events, this park will be on another level both physically and virtually as Pokémon Go can be integrated into the park too. The possibilities! If you’re wondering why Disneyland isn’t on this list, again, they will probably not want their “family-friendly” image associated with Genting. The current situation is not good news to Genting and Malaysians as we won’t be able to enjoy the theme park anytime soon until they sort it out in the courts. However in the meantime there are rumours that the indoor park Skytropolis will be opening soon, at least we can look forward to that. From Surveys To Analysing Race Cars Drivers: How This M’sian Tech Team Keeps Innovating.